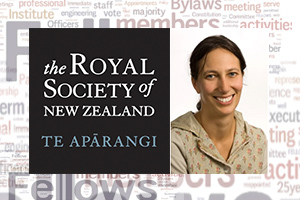 RMLA’s General Editor, Professor Jacinta Ruru, was today among nineteen of New Zealand’s finest researchers and scholars announced as Fellows of the Royal Society of New Zealand. To be granted fellowship of the Royal Society is an honour that recognises true international distinction in research and scholarship. Professor Ruru’s work is at the forefront of defining Indigenous peoples’ legal rights to own, manage and govern land and water including national parks and minerals in Aotearoa New Zealand, Canada, United States, Australia and the Scandinavia countries. For her work in this field, she was recently awarded the Prime Minister’s Supreme Award acknowledging her sustained excellence in tertiary teaching to create a place for Māori to stand and be heard within New Zealand’s legal system. “The RMLA is extremely fortunate and proud to have such a distinguished and accomplished individual at the helm of our flagship publications,” said RMLA President Maree Baker-Galloway. Professor Ruru is currently the editor of the RMLA’s renowned Resource Management Journal, co-editor of RMLA’s Resource Management Theory and Practice, consultative editor for the Māori Law Review, and book review editor for the Journal of Human Rights and the Environment. In addition to leading several national and international research projects, she also sits on the editorial committee for journals including the Settler Colonial Studies Journal, Australia and New Zealand Law and History Journal, Public Interest Law Journal New Zealand, and Global Journal of Comparative Law. Her energy, passion and dedication is evidenced by a raft of prestigious awards, such as the University of Otago’s Rowheath Trust and Carl Smith Medal for outstanding scholarly research achievement across all disciplines (2010), the Fulbright Ngā Pae o te Māramatanga Senior Māori Scholar Award (2012) and the OUSA University of Otago Association’s New Supervisor of the Year Award (2013).